The C.A.F.E. would like to congratulate the 2017 graduates of the College Teaching Certificate. We are excited to see these "green lights" stay passionate, driven and always looking towards what tomorrow can bring. All new Durham College faculty members start the five course College Teaching Certificate. Durham College offers this program to support new faculty in their transition from subject matter experts to professional educators. This shift requires faculty to learn many new skills, consider new theories, and think about their career skills in new ways. 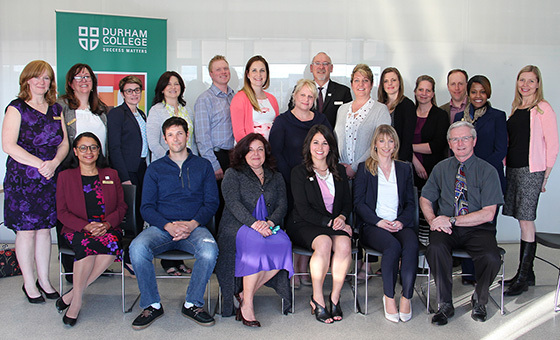 The college's policy and procedure related to grade appeals have recently been renewed by the Durham College Leadership Team. Questions related to this policy or procedure should be directed to the vice-president, Academic. Have you submitted your Course Outlines? Course Outlines are due soon. Visit the C.A.F.E. WebCOT resource section of the C.A.F.E. website for tips and suggestions or sign up for one of our WebCOT workshops.